Torshavn - Germany could guarantee their place at the 2014 FIFA World Cup when they face the Faroe Islands on Tuesday evening (kick-off 20:45 CET). Sweden, who currently occupy second place in qualifying Group C, travel to Kazakhstan in Tuesday's early kick-off. 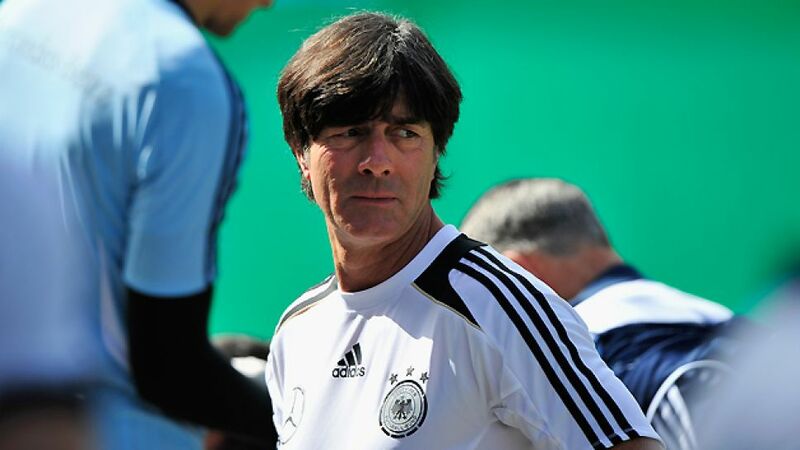 If the Swedes fail to win, victory for Joachim Löw's side would secure their place in Brazil next year. Löw will be forced into at least one change for Tuesday’s encounter after withdrew from the squad. The 24-year-old Borussia Dortmund midfielder, who started at the Allianz Arena, has a gastro-intestinal infection and didn’t travel with the rest of the squad on Monday, opting instead to return to Dortmund. “, Andre Schürrle and are all in contention to replace him,” said Löw. “Sam is more of a right-sided player, so I'm probably going to choose either Schürrle or Draxler. I'll decide after our final training session.” Reus’ Dortmund colleague has been passed fit for the match, however. The 25-year-old was taken off at half time during Friday’s win over Austria after suffering a blow to the face. Tuesday’s encounter, meanwhile, could be a very special one for Miroslav Klose. The veteran striker equalled Gerd Müller’s tally of 68 international goals against Austria and could move top of the all-time scoring charts if he finds the net against the Group C minnows. “'Miro' was a little tired and worn out after the Austria game, but he will definitely start,” revealed Löw. The Faroe Islands, who lost 3-0 to Germany in Hannover last year, are currently 175th in the FIFA world rankings. Their coach knows a thing or two about beating die Nationalmannschaft, however. Lars Olsen was captain of the Denmark side that beat the then world champions in the final of UEFA EURO 1992. Olsen isn't expecting a repeat of that success on Tuesday, though. “We’re huge underdogs,” he admitted.